High Court Ruling Sets Precedent for Reduction of New Wind Turbines Being Placed in ‘Unspoilt Landscape’. 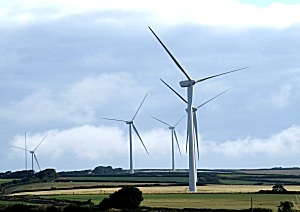 North Norfolk District Council has obtained a Court Order to stop an inspector’s approval decision for a large turbine to be erected in North Norfolk, which would have impacted an “unspoilt landscape” and nearby Listed Buildings. The ruling follows our report last June, highlighting a similar judgement which acted to protect local Listed Buildings. Like the Barnwell Manor case we analysed in June, North Norfolk District Council, who refused the initial application, have now secured a High Court ruling in its favour for preventing the progression of turbine construction at Pond Farm, Bodham, Norfolk. The High Court Judge (Robert Purchas QC) formally ruled that the Inspector who allowed the planning application to proceed had failed to comply with planning law relating to the preservation of landscape and heritage sites. The Council committee unanimously refused planning permission in August 2012 following a large-scale community response. The local authority stated at the time that the application “flies in the face of the will of the local community”; a point reflected in the 1450, of a total of 1800, letters, emails and other representations that were received by the Council against the proposed turbine. The Council members feared that allowing the turbine would have considerably wider implications for the economy in North Norfolk and potentially open the door to more onshore turbine applications, which would have considerable economic consequences for the district’s tourism industry. The site itself near Cromer ridge is meant to be one of the highest points in North Norfolk and a 284ft (86.5m) turbine, as proposed, would have been seen for many kilometres. Complicating matters was a number of listed buildings in the area, including Grade I and Grade II churches and castles, for which the turbine would have inevitably had an impact on their landscape setting. The Council made the decision to refuse the application. The inspector, in April 2013, overturned the decision on appeal. The Judge in this instance ruled against the inspector in order to protect the setting of the protected buildings. Judge Purchas ruled that the inspector did not comply with Section 66(1) of the Planning (Listed Buildings and Conservation Areas) Act which required him to have ‘special regard to the desirability of preserving the settings of listed buildings’. The Judge did comment that, had the inspector complied with the Section, he could still have come to the same overall decision, but it was not possible to conclude that with any surety. In the presence of doubt, therefore, the decision had to be quashed. The case once again confirms beyond doubt that inspectors must have regard to the Planning (Listed Buildings and Conservation Areas) Act and its measures to protect the settings of listed buildings. Not doing so can jeopardise their decision, even if stopping to consider the impact wouldn’t have changed their minds.